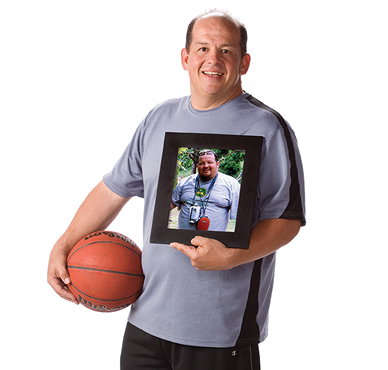 Read these inspiring stories written by our patients as they share their amazing success. If you’ve had weight loss surgery you can inspire others with your story and help them take the first step to a new beginning! Please contact us to share your story. How much weight have you lost? 90 lbs. What were your struggles before surgery? I had high blood pressure, high cholesterol, and severe sleep apnea. I was drained and stopped doing the things I enjoyed most; fishing, hunting, golf and socializing. How/Why did you come to your decision to seek bariatric surgery? I had tried different weight loss and exercise programs in the past and failed. My wife and I did some research on weight loss options and found a seminar held by SOBC. After attending the seminar and a support meeting I knew this was the right choice. Why did you choose the surgery your chose? I felt the Roux-en-Y had the long term success I was looking for. Why did you choose SOBC? They had the best surgeons and post surgery support. 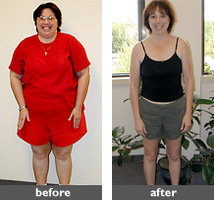 How soon after bariatric surgery did you start experiencing improvement/resolution of your pre-surgery struggles? After the first 30 days I was down 25 lbs. and was no longer on any medications or my CPAP machine. How has your journey been since? My journey has been exciting and educational. What are you able to do now that you could not do before? I now have the energy to run up a flight of stairs, fish, hunt, golf, float the river, but most of all to enjoy my life and family. What goals do you have for the future? I will continue to maintain my current weight and make healthy choices. 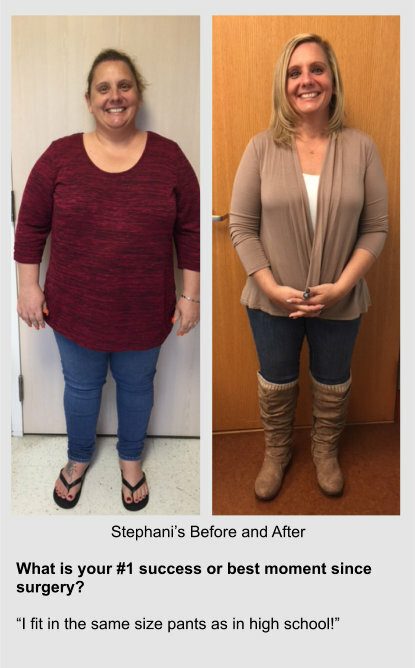 Visit Karin’s inspiring blog Lap Band Gal to learn about Karin’s journey – she just celebrated her fifth year with her lap band! I wasn’t in it for appearance improvement or to fit into a certain size jeans. I thought that I wouldn’t have to exercise to lose weight. I am pretty sure that I wouldn’t be as successful as I have been with my band if I hadn’t gotten down with exercise. Sometimes old friends don’t recognize me. I’ve said it before and I’ll say it again: the only living being that treats me the same now at 145 lbs as when I was 258 lbs is my cat. I’ve now know and accepted the fact that I will probably either need to replace my band one day or not have a band at all. I’m OK with that. It’s up to me to choose lean proteins and veggies. It’s a pretty fabulous thing that my band does for me. No more hunger (usually). Every time that I had lost weight before getting banded, I would lose some weight (about 20-30 lbs) see results, and then stop losing weight by going back to my old behaviors. Then I’d gain all the weight back. At my heaviest I weighed 324 pounds. I now weigh 164 pounds. I have lost 160 pounds. Before bariatric surgery I was almost in a wheel chair. I had high blood pressure, high cholesterol, borderline diabetic, I needed knee surgery, and my hip’s hurt all the time. I just want to thank God for helping me through all of this. Without you God, I would not have been able to do it so successfully. Emotionally I was eating to die because of all the pain. I felt like my marriage was going down the tubes. There has only been a couple of times in the 30 years of marriage we have had insurance. This last March my husband got his VA 100% disability so that meant I could have insurance. That is when I got told I lose weight or we were going to get divorced. That is when I asked my doctor to refer me to see about the Bariatric surgeons to get the surgery, which was in June 2012. I got the appointment to see the SOBC bariatric program coordinator, Mark Mortonson. My husband and I meet with Mark to find out which surgery I could have done. The insurance company would let me do the band or the roux-en-y. If I was going to do this, I went for roux-en-y. I had made up my mind that I would start to eat better from then on. Just by cutting out the junk food and the sodas I lost 20 pounds. My surgery was set for 8-20-2012. Because of my weight I had to do the two week liquid diet. Let’s just say it was not fun, but I made it just fine and I had lost 20 more pounds. The night before surgery day I was scared, so I asked my husband if I could back out of it? He said no the hard part was over. So I did the surgery. I was the last surgery of the day. I got up the next morning to do my first walk. I had to stay 2 nights, and then I got to go home. On September 3, 2012 Arthur took me into the ER because of all the pain I was having in my toe that had moved up to the back of my leg. They checked me in at the ER, took me back for an ultrasound on my leg and found a blood clot. After the test I was admitted to the hospital. I was put in the South tower and they had no clue how to take care of me because of my bariatric surgery. So no one at the bariatric clinic even knew I was in hospital. I had to stay three days in the hospital. I went home but I had an appointment to see Reeger Cortell the family nurse practitioner of SOBC. Arthur took me to the appointment. I walked in myself and I didn’t have the strength to walk back out on my own. So I had to be wheeled out in a wheelchair. I was so nauseated and throwing up, I couldn’t keep anything down. Arthur took me home. I was so sick I thought to myself what the hell did I do. I was also grieving over all the foods that I couldn’t eat anymore. I was mad at my husband and mad at myself. But the one thing I remember very clearly was Reeger telling me, “I wish I could take a picture of you three months ahead and bring it back and show it to you right now. That will help you to know you will make it through all this”. She was right; I did make it through it. On September 8, 2012, Arthur took me back to the emergency room and I was hospitalized for three more days due to dehydration. We found out that I was lactose intolerant, so I was having to eat a lot more meat, jerky, eggs, and fish. Then I found egg protein shakes and was a lot better. Arthur and I went to the first support group after surgery. To make a long story short, I ended up going through two MD’s because they could not control my blood thinners. I was going to the doctor three or four times a week to check my blood. I was still not getting enough water or liquid protein and just kept getting weaker and weaker. September 22, 2012. My daughter, Andrea called, crying that her washer overflowed and flooded her downstairs and all over the computers. She didn’t know what she was going to do. We bought her a new washer & dryer set. At that time I didn’t have a clue as to what was going to happen the next day. Arthur had to go to town to get some lumber and left me home alone. About two o’clock I was starting to get really worried that something had happened because he was not home yet. My mother had been calling and wanting to know if I was getting any rest. I told her no, because Arthur was still gone. Mind you I was still on pain meds. Around four o’clock Andrea called and wanted to know how I was doing? I told her I was worried about Dad because he wasn’t home yet. She said he was probably talking to some Vietnam vet and that he would be home soon. He was still not home at 5:30 PM. I was in the bathroom when I heard him pull in the driveway. I was just getting done in the bathroom when he came in the house. I started barking at him, “Where have you been? !” He told me he had a surprise for me and that I needed to come out into the hall, so I did. I could not believe what I saw; it was my daughter, Andrea, from Kansas, who just had a flooded house and a broken washing machine. I couldn’t believe she was here. Of course she had her camcorder going and recorded the shock on my face. She was here for one week. She took me to six doctor’s appointments and when she didn’t take me she had to take Dad to his doctor’s appointment, of course it was in Roseburg so she was gone every day she was here. She got to drive my new car more than I had driven it. By the time she left I was doing a lot better. I was drinking more water, getting down more egg protein and keeping it down. I also quit taking the pain meds and the nausea pills. Before I started all this I had really long hair, and sad to say, about Thanksgiving I started losing my hair by the handfuls so I cut it short. Three months went by before I found out I had broken my toe when I was on the pain meds when I first got home. I have lost 90 pounds. But I still wasn’t doing much because I had to keep my leg up due to the blood clot. I was still having trouble with my knees and ended up having knee replacement surgery on March 26, 2013. To get ready for the surgery I did water exercises and that helped a lot with recovery. On April 2, 2013 I weighed less than 200 pounds. I was feeling so good that I planted a garden all by myself. I also put in an automatic watering system. On May 5, 2013 I weighed 192.2 pounds and it was my birthday. Arthur and I went over to La Pine to see some friends I hadn’t seen for a long time. Now mind you we had a new car and I had a new body, so when Nancy came out of the door to see who was there, she had to take a double look and finally figured it out when she saw Arthur. One of the greatest moments for people who have had the surgery, is to see the shock on people’s faces when they see how much you’ve changed! Mid spring and early summer we cut firewood up on the neighbor’s property and I was able to do a lot of the stacking of brush, dragging branches to be cut into firewood and loading the pickup. We did this for months. It feels so good to be out doing stuff like this. On June 12, 2013 I weighed 182.4 pounds. We flew back to see the kids in Kansas. We had a great time! I was able to walk, hike and have fun with the kids! It was just great to get my life back! On August 20, 2013 a year after surgery and I weighed 172 pounds, that is a 152 pounds lost. August 23, 2013 I had surgery to remove the lower part of the sternum due to a large growth. It was a piece of cake. No pain, I was still able to do my canning. The only help I needed was lifting the big pans on and off the stove. Reeger Cortell ordered more blood work my thyroid. This showed some abnormalities and ultimately there were signs of tumors and it was cutting off my airway. I had surgery again on September 25, 2013 to have part of my thyroid taken out. On September 25, 2014 I had another surgery. This time it was to remove my ovaries and fallopian tubes do to two large tumors. I needed no pain medicine whatsoever after I came home from the surgery. This one went really well. The day before surgery I had nerve study tests done on my arms and hands. They found arthritis, tendinitis and carpal tunnel in my wrists again. Dr. Ring ordered x-rays on my wrists and hands. He called October 17, 2014, and said that he was going to have to send me to a specialist because it’s worse than he thought. So I have not had an easy time after my bariatric surgery. I have had five surgeries in 25 months. My hair is coming back and it is wavier than before. 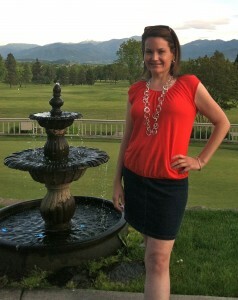 I just want to say “Thank you” to the Southern Oregon Bariatric Center team for all that they have done for me. I want to say a special “Thanks” to Reeger Cortell, FNP for saving my life twice. First, with helping me through the hard times after the bariatric surgery. Then second, with the thyroid surgery. She is such a caring person and she will always have a special place in my heart. What advice would I give to someone considering surgery? You have to be willing to give up all the junk food, sodas, and don’t let people talk you into eating. Let your body tell you what it needs. As Reeger and Mark tell you, it’s a tool you have to learn how to use. The part that’s the hardest is getting your brain away from your favorite foods. Trust me it’s not an easy thing to do. All of us slip up and we all have to pick ourselves up by our bootstraps, dust ourselves off and tell ourselves and tell ourselves “you can do this,” If I can do this so can you, but I didn’t do it alone God help me. TO ARTHUR, MY LOVING HUSBAND, Thank-you for knowing how to save my life. You did save my life. I had no control over my eating, and I was taking cholesterol and blood pressure medication. I decided to have LAP-BAND® surgery. 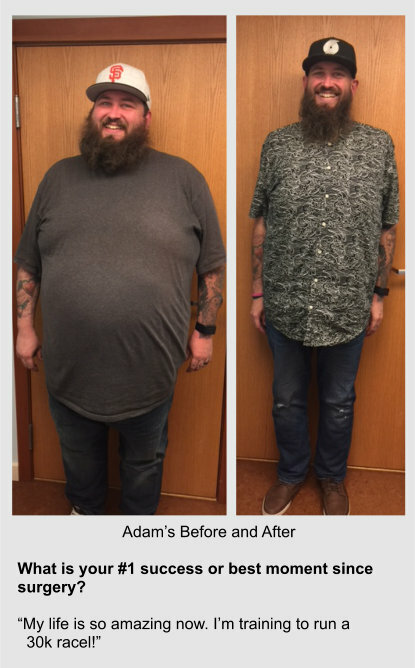 With the help of Southern Oregon Bariatric Center staff at Rogue Valley Medical Center, I no longer take the medications, I work out every day, and I’ve lost over 100 pounds. As far back as I can remember I struggled with my weight. As a child I was teased and made an outcast because of my size. I always thought to myself, “When I’m an adult, things will be different; people won’t pick on me anymore.” As I got older I often wondered when that day would come that I could go out in public and not be judged for my size. Being overweight made for some major hurdles in my life. I was always uncomfortable, always out of breath and because of that I never wanted to be in crowds, I didn’t like going out in public. The older I got, the bigger I got and that little bit of confidence that was left in me dwindled. I turned to food with all emotions, happy, sad, mad, bored, it didn’t matter the occasion, food was my best friend. I met my husband in 2009; out of the million-and-one things we had in common a big one was food. We loved to cook food together, eat food together, and talk about food together. It consumed our lives. Our weight spiraled out of control. We became hermits, we lost touch with our friends, we were too ashamed of our weight to socialize. We had talked about weight loss surgery, but for me I never saw it as an option. I didn’t want to be criticized for “taking the easy way out” … In 2012 we moved to Oregon. One day I was watching tv and a commercial for the Southern Oregon Bariatric Center came on. Any other day I would have rolled my eyes and changed the channel but on this particular day I was feeling down, I just didn’t want to go on with life being unhappy and overweight. As soon as the commercial was over I got onto the SOBC website and signed us up for the seminar. My insurance required me to do a three month supervised “diet” before being approved for surgery. At the time three months sounded like forever. I wanted to lose weight and be healthy and I wanted it right then and there. In those three months I learned more than I ever thought I could about surgery and about myself. I knew that this was something I really wanted to do and I didn’t want to mess it up. I changed my eating habits right away, to me that was the first step. I started getting out and exercising, this is what my life would be like after surgery, why not start now? The Lap Band surgery was never an option for me; I didn’t want it to be a reversible thing. I didn’t want the idea in the back of my head of being able to take it out when things got rough. It came down the roux-en-y or the VSG. On October 10, 2013 I made one of the biggest life changing decisions that I will ever make, I had the vertical sleeve gastrectomy. My highest weight was 306 pounds, I have just passed my one year “surgiversary” and I am proud to say I have surpassed my goal weight, weighing in at 130 pounds. It hasn’t been the easiest journey; it’s a major life change. My advice for someone considering surgery would be to weigh all of your options, go with the surgery that best fits you and the life you want to lead. Listen to everything your doctor says; keep up on your fluid, vitamin and protein intake. Trust the process and most of all love youself, no matter what size. I started looking into weight loss surgery when I was 24 years old. I was in pain all of the time and I was becoming antisocial. I knew that I wanted to have kids and there was no way at 317 pounds that I was going to be able to keep up with them. I was no longer doing the things I enjoyed and my health was deteriorating; I had high blood pressure and sleep apnea. 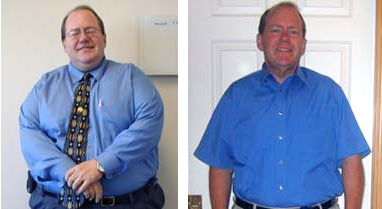 At the time I began pursuing weight loss surgery, my wife and I had recently moved to Medford. We had seen a commercial for SOBC and we immediately went online to schedule a time to attend one of the seminars. I had educated myself on the different procedures available prior to attending the seminar. My mother had a roux-en-y and it was a very successful procedure for her, but after hearing more about the vertical sleeve gastrectomy and the simplicity of the procedure and lack of side effects I made the decision to move forward with the VSG. After the seminar I setup a consultation with SOBC. From the first appointment I knew that I had made the right choice. The staff at SOBC walked me through the process and I learned so much leading up to surgery. My insurance company required that I do a three month physician supervised diet prior to surgery, which I feel was a very good thing. During the supervised diet I was able to learn how I would need to eat and live after surgery. The day of surgery was the most exciting day of my life. The surgery went great and I had only minor discomfort. The thing that helped the most was staying active after surgery; pain wasn’t going to be an excuse anymore. I took 2 weeks off from work but felt almost completely back to normal after the first week. I continued to lose weight on a weekly basis and almost immediately I started noticing a difference in my pain level and my blood pressure started to normalize. I was no longer snoring nor having apnea during sleep. The only medications I take now are vitamins. Since surgery I have been able to get back to doing the things I enjoy most. I can now ride my bike every day, go hiking in the woods or walk miles on the beach. I enjoy shopping for clothes again; I can find clothes right off the rack at any store I choose. My grocery bill has gone down drastically. Every part of my life has improved since having a vertical sleeve gastrectomy. I am weighing in at 174 pounds and my wife and I can’t wait to have kids now. 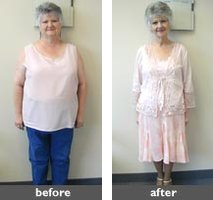 For anyone who is considering a weight loss surgery I would highly recommend the team at SOBC. I would recommend having a good support system whether it be family and friends or an online support group, having support will truly help you. There will be hard days and easy days and having people around that understand can make all the difference in the world. It was a decision that I did not make lightly, to have this surgery. In fact, I had been looking into it for about 2 years. My wife and I even went to a seminar, but upon studying up on it, found that just having the surgery would not guarantee success! You still had to watch what you ate. So, figuring I could save some money and the discomfort of going through a surgery, I would just limit my eating and do what the program called for, without actually going through with the cutting! I should have known better because it didn’t work. I was always unable to keep myself on track. I went by what the Dr. and his assistants (and the book!) told me to do and I never had any problems! The weight started “melting” off me and I NEVER felt hungry! (I asked Dr. Traul in a follow-up visit if he had cut part of my brain out too…because I never craved food the way I had before!). Of course, a lifetime of HABITS had to be changed (goodbye Diet Coke, my old friend…it was good while it lasted!) and I am still struggling with some of those demons/habits, wanting to crop-up again. In 6 months I went from 361 lbs. to 221 lbs.! -140 lbs. CAN YOU BELIEVE IT???? I still cannot! I was asked for ID at the bank the other day from the teller who has known me personally for 5 years! My son is upset because he can’t pick me out of a crowd anymore! My Mom didn’t recognize me until I started talking! My wife was depressed because she can’t loose weight as quickly as I can! 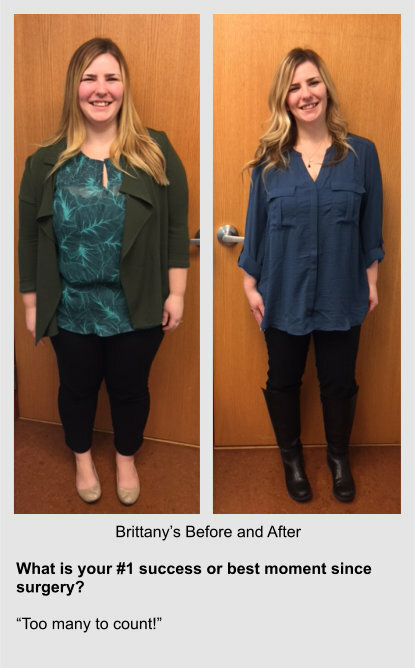 I have to buy new clothes every 2 weeks (started in a size 60 pants currently in 40’s)! Oh, these are just a few of the “problems” of having the surgery…but what great “problems” to have! Would I do it again? In a heartbeat! It was the best thing that I ever did for ME! And now…I actually feel like a worthwhile person! And nobody yells at me when I walk down the street! How kool is that? My life has been a roller coaster ride of weights up and down. I was heavy as a child, teased mercilessly and nagged by my whole family to lose weight. I am now the smallest one in my whole family! I have done almost all the weight loss programs out there from Atkins, South Beach, Nutri System, Diet Center, Weight Watchers, low cal, low carb, starvation, etc. At about age 30 I began to have the medical problems obese people have. I was diagnosed with Type II diabetes. As the years pushed on I was diagnosed with high blood pressure, high cholesterol, edema, incontinence, sleep apnea and other problems. Three years ago I was diagnosed with Lupus. The excess weight I carried aggravated the Lupus joint swelling and pain. I was in a “Catch 22” situation as I needed to exercise to lose weight but the Lupus joint pain prevented me from doing so. I can now walk, play, exercise and have fun without the excruciating pain. I met Kathleen at the seminar and she was very helpful and informative. The seminar opened my eyes to what goes on behind the surgery, the good and the bad and the chance I would have to improve my life, health and well being. After many discussions with my husband, children and family I decided I was not ready to “check out of this world” just yet and decided to go ahead with the surgery. Kathleen (program coordinator) spent a great deal of time and energy working with my insurance companies to secure approval. It came down to two weeks before my scheduled surgery when the insurance approval came through. Dr. Eaton (who also performed my daughter’s emergency appendectomy) was my choice of surgeon. He is very kind, informative and supportive…and he listens to me! YOU ARE ONE OF A KIND, DR. EATON! I would not change the way things transpired, the choice to have this life saving surgery and the results since the surgery. It has been great to go clothes shopping for other than women’s clothing. I went from a size 2X to a size 8 in less than 7 months. At 5’5″ I weighed 237 lbs before surgery and today I waffle between 135 and 140. I was able to drop 8 medications from the day of surgery and have not looked back! WOO HOO! I AM ECSTATIC! I feel so much better; I have more energy and recently was able to complete a 4 mile hike along the Oregon Coast without effort. At 55, I have my life back. A year ago April, I weighed 242 lbs, had very high blood pressure (was on three kinds of meds for this and still couldn’t get it down), high cholesterol and was working at knee replacement surgery. With a family history of diabetes and heart disease, my future was not looking very bright. I started my first diet at 13 years of age and was a yo-yo dieter since. I would lose the weight, but never keep it off or get down to where I need to stay for very long. 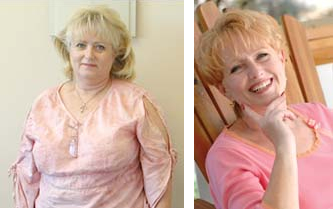 Mid-February 2005, I went to the bariatric seminar and met Dr. Eaton and Kathleen and the rest is history. To date, I have lost 114 lbs. I have so much energy and my health is completely turned around. I can keep up with all my family when we go camping and ATVing and I enjoy working in the yard again. My surgery and recovery were a good experience and I would do it again in a heartbeat. It is without a doubt the best thing I have ever done for myself. I would like to give special thank you to Dr. Eaton, Kathleen and all the staff for their support and caring during this life-changing process. 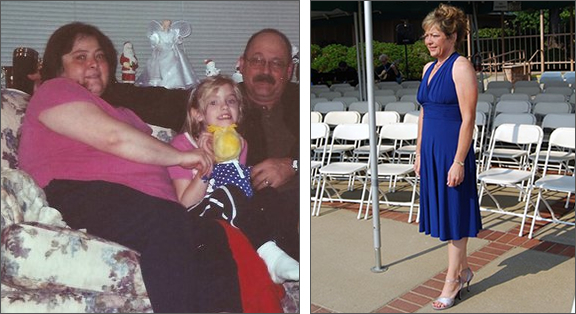 My weight problems began nearly 30 years ago with a string of miscarriages, then a divorce. I have two grown daughters who have only known me as being obese, until now. I have been a registered nurse for 13 years so I knew well the health implications of being this heavy, not to mention the health problems I was having such as: sleep apnea, asthma, shortness of breath, high blood pressure, severe arthritis, and an unstable gait. I avoided sitting in a booth in a restaurant because I might not fit, I avoided stairs and hated social occasions because of my weight. As an adult I was never able to cross my legs because they were so large. I love to travel but it had become very difficult to take long trips. That was me then. Today this has all changed, thanks to Southern Oregon Bariatric Center. I had only dreamed what it would be like to have gastric bypass surgery, like many after the notoriety of Carnie Wilson’s surgery. That dream became a reality for me in November 9, 2004. That was also the day I became reborn so to speak. I was home in two days and back at work in one week. Since then I have lost 120 pounds, with my highest weight being over 300. I feel absolutely fabulous. I walk with ease and a spring in my step, I can cross my legs (I know this is silly, but not if you’ve never been able to), a smile is always on my face, I go to the gym three days per week, I swim three days per week. I now can shop in the same departments as my daughters. I have gone from a size 3x/26 to a lg/14 so far. I now gladly get rid of clothes that are getting too big, without the fear of gaining weight back, as in the past. I now have the tools to continue to be a success, knowing that it takes diet, exercise and an understanding of behavior and the regular attendance to a support group. This particular program with S.O. Bariatric Center provides all that and more. The help of their coordinator, dietician, personal trainer, physical therapist, social worker and the talent of the physicians are what set this program apart. I am no longer on many previous medications, no longer do I have sleep apnea, I can walk at a fast pace with my head held high, I can travel with ease and do not have to squeeze in an airplane seat with a seatbelt extender, I can sit anywhere in a restaurant. This has opened up a new world for me, I want to go camping for the first time, I want to go horseback riding, and go see the world. I am very proud of what I have accomplished. Thank you Dad. I only wish he could have lived to see the new me. It is not the 130 pounds I lost from my body that is the biggest relief; it’s the 130 pounds that have been lifted from my soul. Before surgery two years ago, I felt like my soul was trapped inside of an overweight body, but gastric bypass surgery has set me free. For the first time in my life I feel normal. I had been overweight for as long as I can remember, but I now weigh less than I did in junior high. What I lost in weight, I gained in character. It’s been an emotional journey, but I have arrived as a better mother, wife, and friend to those I care about. Every single thing I do throughout the day has become easier—getting out of bed, showering, dressing, walking to my car, buckling my seat belt… I could go on. The dietary changes haven’t been too difficult either because I was ready to go through whatever I needed to do to be healthy. I don’t even miss the harmful foods anymore. I look at the foods I used to eat, and I am truly thankful that I no longer eat like that. I hated to search for a picture of me taken before the surgery because it brought back all the bad feelings associated with being overweight. But now I have new pictures—ones that remind me that I can do a lot of the things I always wanted to do. 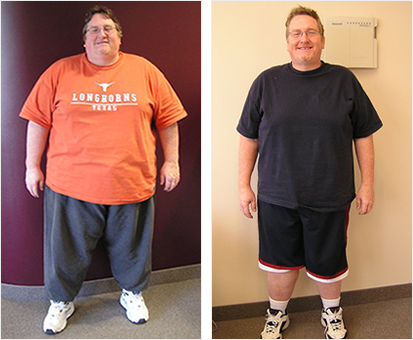 My journey with Gastric Bypass surgery began on 8/26/04 when I attended an evening seminar regarding this subject. I had done a lot of research and was convinced that this was the best solution for permanent weight loss for myself. I am 5’6″ tall and weighed 268 lbs. I am a Type 1 diabetic, which requires insulin injections. I was injecting myself up to seven times daily using a total of 180 units of both short-acting and long-acting insulin. I had elevated cholesterol levels (281), asthma, sleep apnea and had developed plantar fasciitis in both of my feet from my obesity. I was on so many prescription medications for these conditions that my medicine cabinet was just that – a medicine cabinet! After the seminar was over, I went over and introduced myself to the surgeon, David Traul, and spoke with him regarding Medicare. He told me that he was unsure when or if they would begin accepting Medicare patients. I replied with, “Well, I will just have to keep checking until you do!” I left that evening greatly disappointed, but determined that this was the correct decision for my weight loss success. The next morning I received a call from Kathleen, who is the program coordinator. She wanted to know the circumstances of my being on Medicare at such a young age (I was 45 at the time). I explained that my obesity had caused my diabetes to become increasingly out of control and I had to take an early medical retirement from my job. This also caused me to receive Social Security benefits as a disabled adult, causing me to have Medicare be my primary insurance. Kathleen then asked me to wait for a call back from her as she was going to inform the surgeons of my circumstances. She called me back and stated, “We’re On! !” I WAS THE FIRST MEDICARE PATIENT!!!! I was ecstatic and we began making all of the appropriate appointments, i.e., psychological evaluations, nutritionist, and the fitness appointments. For the next six weeks, I was busy non-stop. I knew that I was going to give this 110 percent of my time and energy so that I would have long-term success. My surgery date was set for October 4, 2004 at 8:00 a.m. I was so nervous!! My husband was with me through everything, as well as Kathleen. I went into surgery and the next thing I knew I was waking up and it was over! Hallelujah!! I began walking the halls of the hospital at 11:00 p.m. That night – just twelve hours after the surgery – and have never looked back. I had no complications and followed each and every rule I was supposed to – exercise, no grazing, vitamins, water, and protein first!!! I lost 13 pounds my first week and 30 pounds by the end of my first month! At six weeks I was walking four miles each day and had lost 45 pounds. After six months I had lost 85 pounds and as of this date I have lost 128 pounds: my weight is 140 pounds and I wear a size 8. When I went into the hospital I was wearing a size 26!!! My health has improved so dramatically that I am back to work as the Director of Childcare at the World Fitness Gym in Paso Robles, California. I love my job and enjoy running after children every day! Prior to my surgery, I could barely walk down to the mailbox without getting out of breath. I am currently on one injection daily of long-acting insulin and am only using 20 units. My blood sugars are in great control and my cholesterol levels are now 180. I no longer have sleep apnea or asthma and I am enjoying my life to the fullest. I am very happy with my success. I have gone from wearing a size 26 pants and 3X tops to wearing a size 6 pants and a medium ladies top. I am shocked at how quickly the weight came off in just 7 months!! The change in lifestyle has made my life more complete now. I have the determination to also change other aspects of my life for the better! My blood pressure is normal and I have perfect Cholesterol levels. I can out-walk my sister who has always been in great shape. Losing weight has helped me feel good enough to get through the day without being tired. I don’t even have to lay down for daily naps…I have more energy than I have ever had!! I never imagined in just 7 months I could feel this GREAT!! This is a serious decision that should be thought out carefully, but I am very glad that I decided to go ahead with the surgery. The Program has totally changed my life for the better. The support from the Southern Oregon Bariatric Staff is the finest and most complete all the other programs I looked into. You are not left alone to figure out what to do. They always have an answer for whatever you may need during post surgery. Three years ago Ben Gardener weighed 465 pounds, was living with type 2 diabetes, and was convinced that his life would be significantly shortened if he didn’t take immediate action. 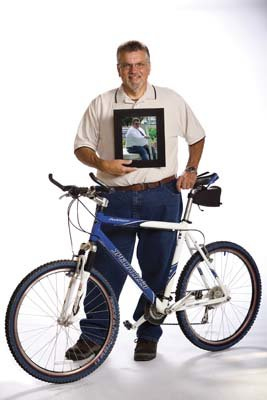 The action he took led him to Southern Oregon Bariatric Center at Rogue Valley Medical Center. He learned that obese individuals with type 2 diabetes who undergo weight-loss surgery to reduce the size of their stomachs are five times more likely to see their diabetes go into complete remission than patients who receive standard diabetes care. After carefully evaluating his options, he chose surgery. To prepare for the surgery, Ben worked with a trainer to develop a workout program as well as with a dietitian to rethink his eating habits. He also joined a weight-loss support group. Ben’s surgery was successful. Not only did his diabetes disappear but so did 200 pounds! At 55 Ben feels like a new man and looks forward to enjoying thousands of tomorrows. 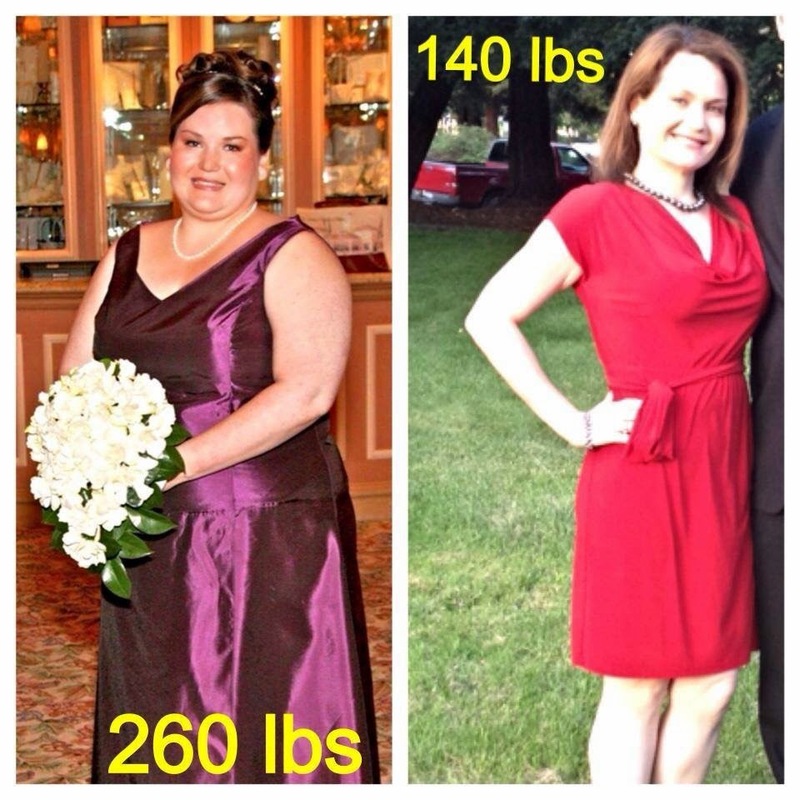 On July 20, 2004 my life would change forever…I had Gastric Bypass surgery on that date. I had high blood pressure, high cholesterol, high blood sugars and aching joints. 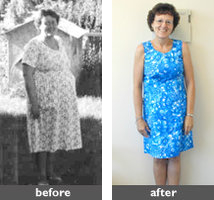 I had tried every diet possible and had lost and regained hundreds of pounds. I had struggled with my weight for 30 years and desperately needed help. Surgery date arrived; Kathleen stayed with me until surgery and was back that night to check on me again. The staff at RVMC were outstanding, a special staff trained to care for gastric bypass patients. After my surgery I have continued to receive care. Help is always a phone call away whether it be the nutritionist, counselor or physical therapist. This surgery isn’t an “easy way out or quick fix.” You are given a tool, lots of education, support and compassion but — you have to be willing to do the work. This surgery has totally changed my life. I no longer need medications, I have low blood pressure, cholesterol and sugars and my joints no longer ache. I am able to swim, hike, ski, bike and play tennis activities I hadn’t been able to participate in 25 years. I have a new body, new outlook on life and unlimited energy. I have the tools, I do the work but I am so thankful for the wonderful staff at SOBC for all their care, compassion, support and expertise. July 20, 2004 was truly the first day of the rest of my life. Obesity runs in my family, mom is 65 years old and 276 pounds. She has diabetes, high blood pressure, along with several other comorbidities. She can hardly walk, and I knew that was going to be me 20 years down the road. Looking over my before pictures I realized that I didn’t realize (does that make sense?) how big I had gotten. I am so glad that I have committed to making the life change, and know that when I am 65 years old that I will be walking, dancing, and enjoying life! I found myself just going through the motions at work and then retreating to my home. I found myself never going out with friends because of the fears I had over the thought of not fitting in a restaurant booth, a movie theater seat, or an amusement park ride. There were even times that friends would offer to fly me out for vacations, but I found myself in anxiety knowing that I could not fit in an airline seat without asking for a seat belt extension. The lack of involvement with friends or family due to these fears caused me to find security within my own home, where I struggled even with common everyday activities. I attempted to accept the pain I was having in my knee, the shortness of breath, and looking for a chair to rest my back. 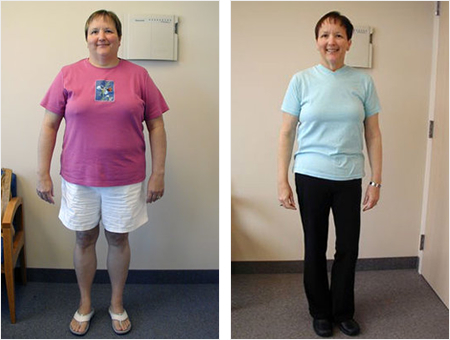 During the efforts of completing my presurgery appointments, I realized on April 1, 2007, that I was no longer a fool-a fool to think that I could get a handle on my weight without the professional assistance of this program. I was a fool not knowing that my weight escalated to 420 pounds and a fool to think that this was good for me. 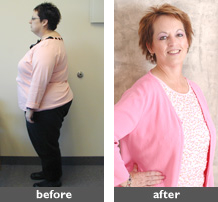 Since my surgery on May 2, 2007, I have lost 145 pounds and 18 inches on my waist. I find myself more active today than I have been in years. I am not sure I can convey to those reading this article the emotion I felt when I played golf for the first time in three years or the day I was able to sit in a restaurant booth. This past summer I had the opportunity to fly back east to visit friends whom I had not seen in years. What a joy it was when I did not need the assistance of a seat belt extension! I know that I may not be a professional writer in conveying to you what I feel at this moment, but as we approach this holiday season I am reminded of one of my favorite movies: It’s a Wonderful Life. As I look back at the decision to have gastric bypass surgery, I now know it was the right decision-one that has given me a new and wonderful life.